April 14: Planting Drop-In at Kilbourn Park Organic Greenhouse, 10:00 AM - 12:30 PM. Click HERE to RSVP for any events. At camp, each week, we began with high expectations (we believe kids are more capable than they know) and the kids deliver greatness. In the meantime, please give kids responsibility. They are creative and competent. There are still spots for camp 2019. Camp signup is HERE. P.S. Lots of camp photos from last summer are on Facebook and Instagram. P.P.S. 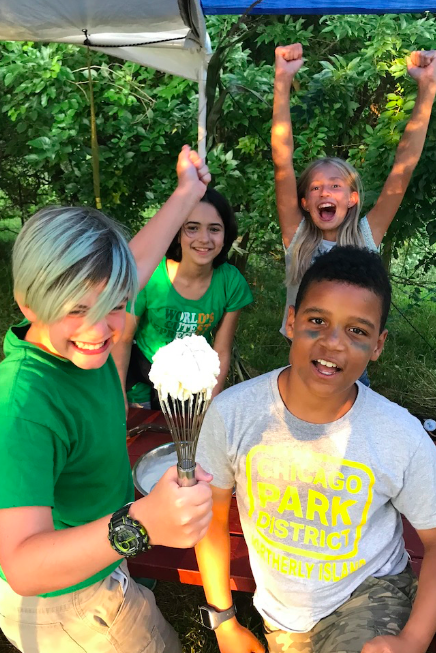 Nature's Farm Camp won the Golden Beet Award in the 2018 Community Food Project category, from the Illinois Stewardship Alliance. 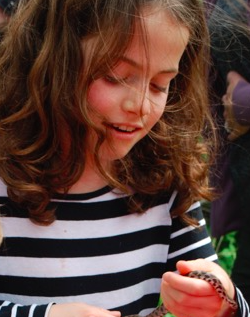 Keep up to date with Nature's Farm Camp. We promise to send no spam - just locally sourced, organic emails. 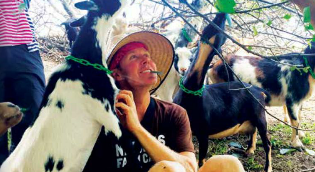 A piece titled "Fresh from the Farm" about Tim Magner and camp in the Loyola Academy magazine (page 4 & 5). A guest article in 2017 on Good Food on Every Table and also in 2016 on Good Food on Every Table, a piece on Farm Camps in Chicago Crain's Magazine and a guest post in the nationally acclaimed Fed Up with Lunch. The Mike Nowak (radio) Show interviewed us and Rob Gardner of The Local Beet gave us a shout-out in his Good Food Fest Wrap-up. We were featured on WGN TV Mid-day News. Note: for the TV gig we borrowed a couple things from awesome Chicago friends, e.g. microgreens from local food innovator The Urban Canopy and the flat of mint from The Kilbourn Park Organic Greenhouse. Good Food on Every Table featured an article on Farm Camp .